Looking to give somebody an original Christmas present this year? How about booking them a place on one of our driving days? Phil Price Rally School can help you get 2019 off to a flying start with our One Day Intense Course. Packed full of action, our rally days are much more than just an experience. Both participants and spectators are guaranteed to have an incredible time at our venue, which has over 3 miles of rally stages and is located in the heart of Wales. Our roads have stunning views over this sweeping landscape, along with plenty of challenges which will test your newly learnt skills. Book a driving day with Phil Price and you’re guaranteed 7-hour of epic action at our rally stages in Wales. Previous participants have described our instructors as ‘super-professional, fantastic and fun’, while others praised our incredible location in the Welsh forests. 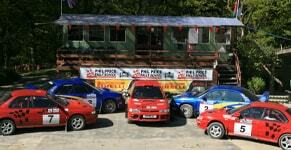 If you’re looking to book a driving day, why not discover what previous visitors think of Phil Price Rally School? Running from 9.30am. 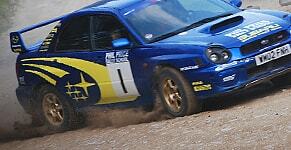 4.30.pm, our driving experiences will give you plenty of time behind the wheel of our fully prepared Subaru rally cars. We offer a 50% deposit to book and you can pay the rest of the balance on the day. Why not book your driving day today?